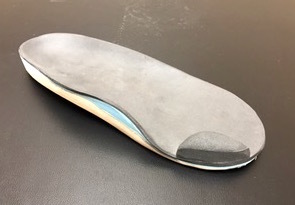 A diabetic foot orthosis (FO) is specifically designed for individuals who suffer from ulceration and/or insensate feet to support, accommodate and protect the foot. Diabetic FOs are made with soft foam materials to redistribute pressures to the bottom of the foot and accommodate any open wounds/sores. They are designed to be worn inside regular shoes provided they have adequate depth and width.